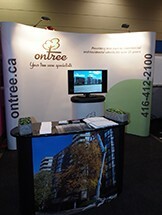 Ontree recently participated in the Landscape Ontario Congress held on January 12 – 14 at the Toronto Congress Centre. 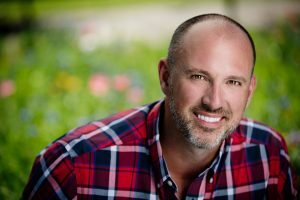 This annual event is a trade show geared towards the green industry, and features a wide variety of equipment and services from chippers and stumpers to leasing and industry related software. The increase in specialty equipment and services available to the green industry over the past few years is truly amazing, and we encourage anyone working or interested in the industry to visit the show in 2017. 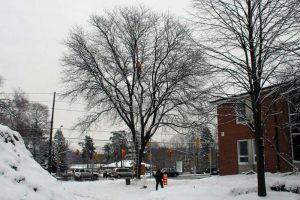 The show also includes educational seminars and “how to” features by industry experts. Ontree has participated as an exhibitor in the show for the past three years. 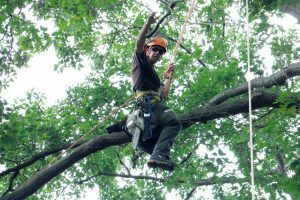 It was great to see so many of our clients at the show, and it was enjoyable to discuss the services we provide, such as tree pruning, tree removal, stump removal and arborist services, with so many interested visitors. There was quite a bit of interest in our spider lifts, and we continue to be pleased with the amount of positive comments we receive about our branding logo, and especially our business cards. 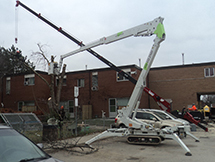 Ontree plans to participate in the Landscape Ontario Congress again in 2017. If you are planning to attend, come to our booth and say hello!